There are two key features that today's personal computers running Windows and Mac OS X are expected to have as soon as they're turned on; playback of audio and video. And it's been this way for quite some time. Audio playback can range from music CDs to MP3s ripped from those CDs, to DRMed content purchased from any number of on-line stores. 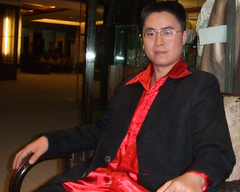 Video playback ranges from proprietary formats such as Quicktime and Windows Media, and DVDs. When I installed Suse 10.2, I knew I wasn't going to get rich multimedia support out-of-the-box (or off-the-DVD). With my lowered expectations all I'm looking for are music CD playback, MP3 playback, and DVD playback. And Suse 10.2 didn't even meet those lowered expectations. Music CD playback is just about perfect. 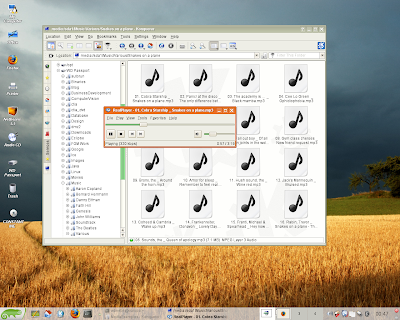 When you insert a music CD you get a dialog allowing you to select among a number of options, including several applications for playback. I chose Amarok 1.4.4, and it appears I chose wisely. 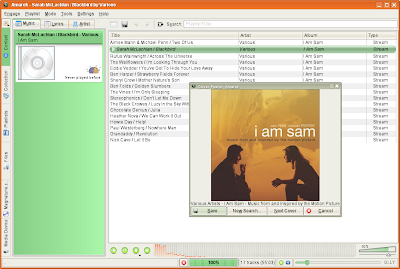 As you can see below the application provides an excellent interface for navigating the CD, and provides nice touches such as the cover fetch for the CD. MP3 playback is supported by not one but two applications. 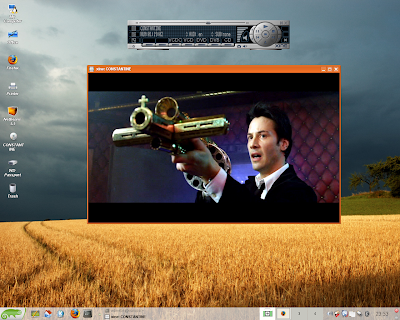 There's Real Audio's RealPlayer 10 and the open source version of RealPlayer, Helix Banshee 0.11.2. If you click on an MP3 file the RealAudio player is chosen by default and a small window appears on the desktop playing your selection. To kick off Banshee, you have to deliberately select it from the file's right-click property dialog from the open-as selection menu. In the example below I selected the same MP3 for playback. Testing on my system seems to indicate no difference in quality (a subjective test, I know), which is a Good Thing. What's more significant about Banshee, however, is its ability to rip music CDs. As you can see below banshee shows every song on the "I Am Sam" music CD, just like Amarok did. What I like is the ease with which it rips (imports) any or all songs (note the 'Import' button at the top right corner of the application). Banshee is my application of choice for ripping music CDs. It has yet to fail to rip anything I've given it, including CDs that were mastered such that they would not play under Windows XP on the exact same hardware. So for basic music listening pleasure you've got three solid applications (KDE's Amorak, Gnomes Banshee, and Real Audio's RealPlayer). I don't know how they work with other encoding formats, and I don't much care. I try to avoid proprietary encoding as much as possible. Ha. Ha. Ha. OK. I first attempted to download and install the libdvdcss RPMs from VideoLAN. That didn't work. Then I attempted to install VLC from VideoLAN. That almost worked. I was able to start up DVDs manually, but when I attempted to skip from chapter to chapter, it crashed. Great. My final solution was to download the sources to libdvdcss, libxine, and xine-ui, and build them all from source in my home directory. When I finished I had a DVD player that would do exactly what I wanted, reliably play DVDs on my machine. 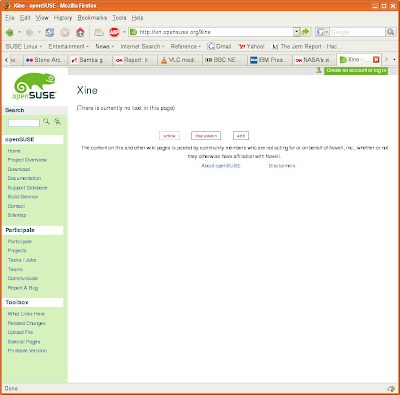 I guess I could have hunted down the RPMs for Xine and its support libraries, and added those repositories to my other repositories being managed by YaST. But that can turn out to be more trouble than it's worth. Besides, it doesn't forgive the sin of not having libdvdcss available in the first place, or of having an RPM available that when installed informed the existing libxine that it was whole enough to play back DVDs.